Yes, it is that time of year here in South Florida where we have close encounters of turtles. Our crew loves this time of year and are excited to show you these big beautiful creatures. 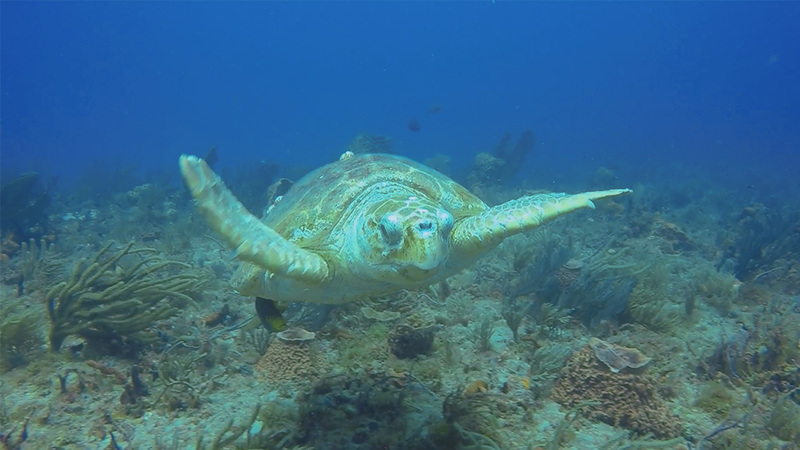 Many turtles, especially Loggerhead turtles, can be found resting or cruising along our reefs. Right now we have been encountering as many as 6 to 12 Loggerhead turtles in one dive. As we drift along the reefs we find them resting under ledges, lodging among the soft corals and sponges or sitting at a cleaning station. Some sleep as we drift on by, some are skittish and scurry away and then there are some that are just as curious as we are and come in for a close encounter, checking us out. Come with us and experience your own close encounter.